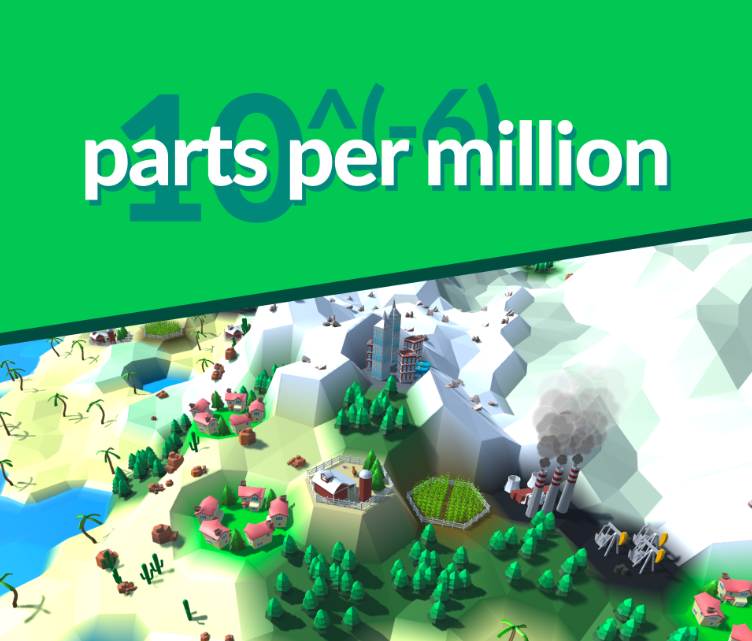 Parts Per Million is a game made to teach the player about pollution. It is supposed to present the user with the choice of building something that generates a lot of a resource but produces a lot of pollution, or build something that produces less pollution but doesn't generate as much of that resource. The goal of the game is to have the player learn about a good balance between the two and why both types of resource generation are needed to sustain our way of life. Download the .zip, extract it and run PPM.exe.